Over the weekend, the new Superhero flick Deadpool, broke box office records. Now, superhero movies have been known to do that for a few years now, but what was surprising about this film in particular is that it has a strong R rating. Generally speaking, R rated movies don’t shatter these records because it limits the amount of viewers. Especially with superhero movies where mostly families go to see them. This meant no kids, and that can usually be seen by box office numbers. Fortunately, Deadpool proved that wrong by grossing over $150 million dollars and becoming the highest grossing movie of 2016 so far. A little backstory for those who aren’t familiar. The titular character Deadpool, is a mutant with the ability to regenerate body parts and heal himself. He discovered his abilities while being put through extensive tests that left him horribly disfigured and mentally unstable. By not being able to go back to his normal life, he took up the “career” as a mercenary. Deadpool isn’t one of the good guys, but he’s not necessarily bad either. He plays by his own rules and his own demented ways. Unlike most superheroes who believe killing is wrong, this character takes killing people as lightheartedly as a child playing with his friends. The comic book also parodies modern pop culture. 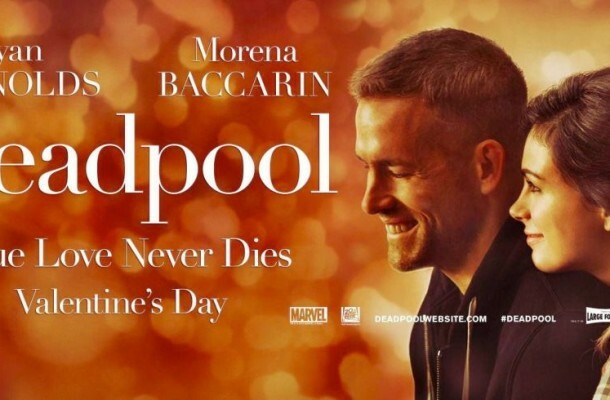 The film was put off for a few years (which doesn’t necessarily help with making money) with the hard R rating, and putting the release date on Valentines Day Weekend this was expected to be a solid box office blunder. One of the reasons this film was so successful was the advertising of the movie. Deadpool has another secret power. The awareness of being in a comic book. He often breaks the fourth wall. Countless men across the country showed their girlfriends this ad (they knew what this movie was about). The girlfriends, wholeheartedly excited that their boyfriends actually wanted to see a romantic movie (starring Ryan Reynolds, no less), eagerly bought tickets. Boy, were they duped. But thats the fun of having a good creative and this was what drove people to see it. By having a solid creative, the movie was able to shatter the speculations and beat the odds. This obviously doesn’t go for every movie, but because of the character, they were able to think more creatively than generic. Like Deadpool, sometimes it pays to be a little crazy.